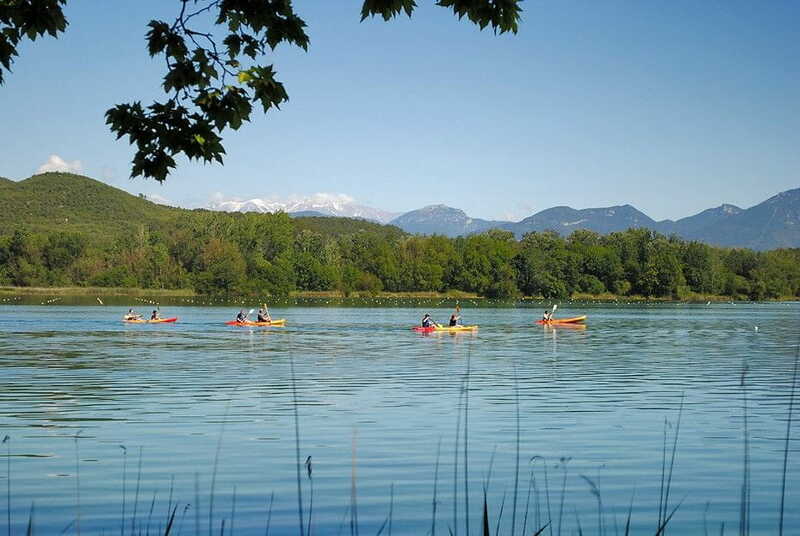 We recommend you park the car and go around the lake on foot or by bicycle to enjoy it better. 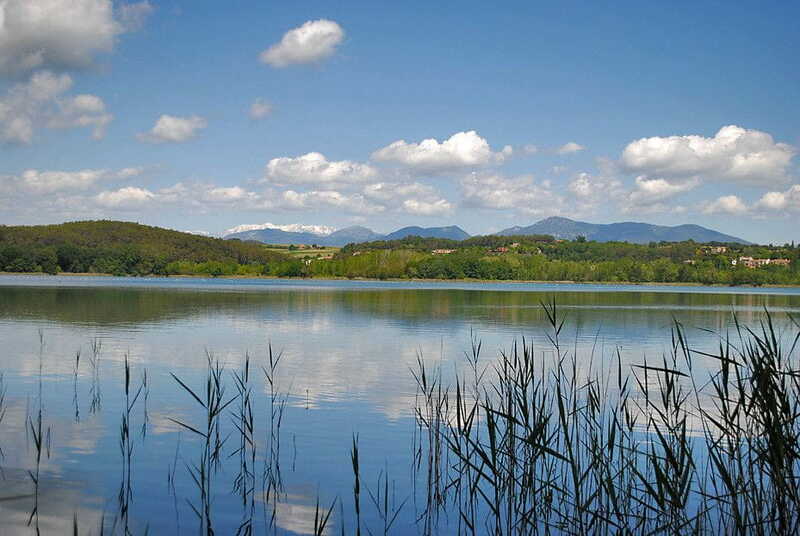 The lake´s water come from the highest Garrotxa. The lake has a carstic origin, the higher stratums of the subsoil collapsed years go and the water spouts from the deepest lake zones. 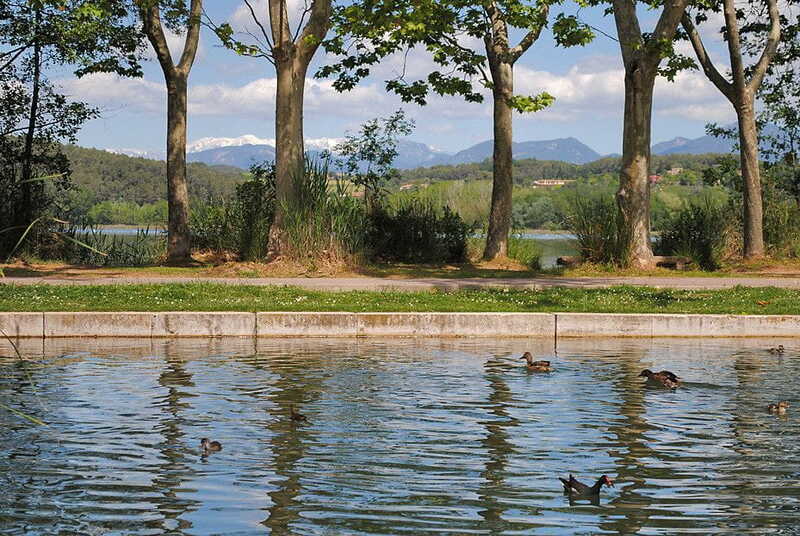 Its vegetation is so rich that a lot of kinds of animals can live in the lake: green-neck duck, water pullet,..
Morgat! Morgat! catch your bullocks and go under the roof! Morgat! Morgat! come in to your house or you will sink! 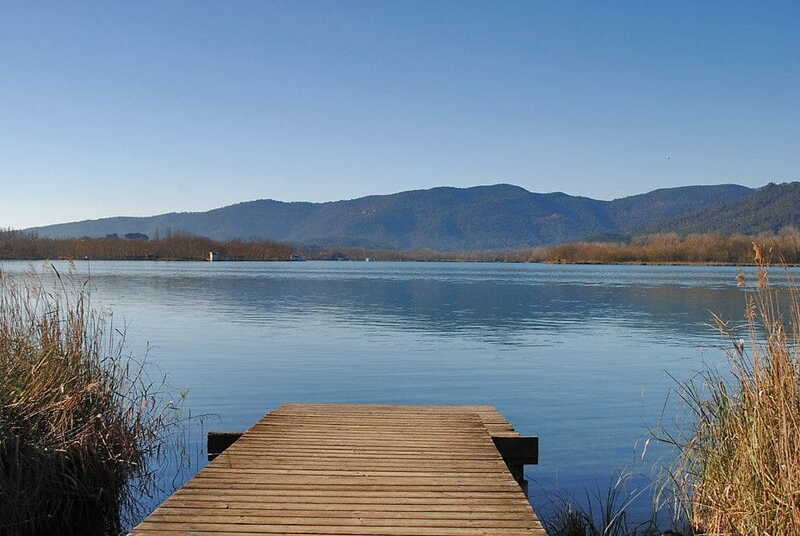 The next day the Banyoles lake appeared. Lot of small rivers are born from the lake and later they join in Terri river. In the lake there are a lot of nice places to enjoy the lake´s peace. There are inclinated trees which branchs touch the lake´s water. The fountains create a nice place.